Yesterday me and Mika cleaned out the chicken and goats and collected the straw for the veg patch: we put it with the strawberries. 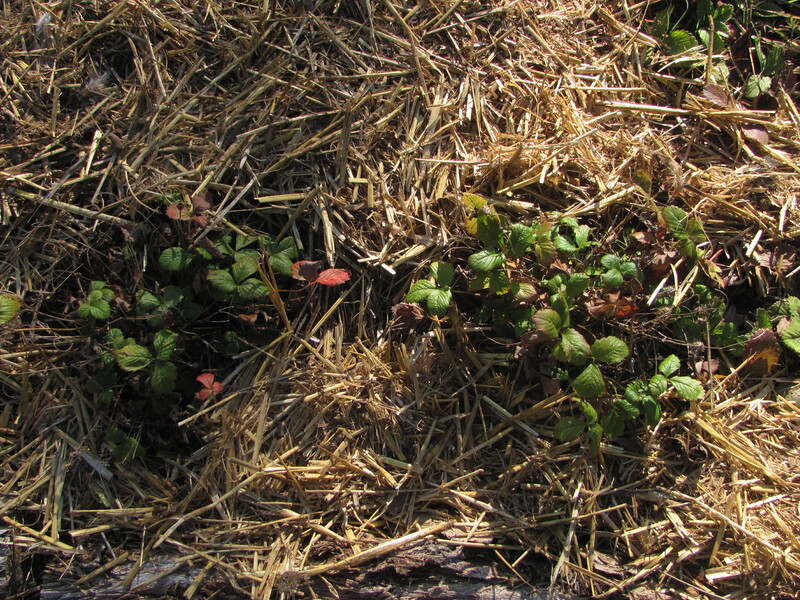 Every years we’ve put grass cuttings or straw, and the stawberries are still doing well. Mika also used our little green house (an old bed structure covered with shower curtains – how’s that for recycling!) and planted some tomato seeds inside. 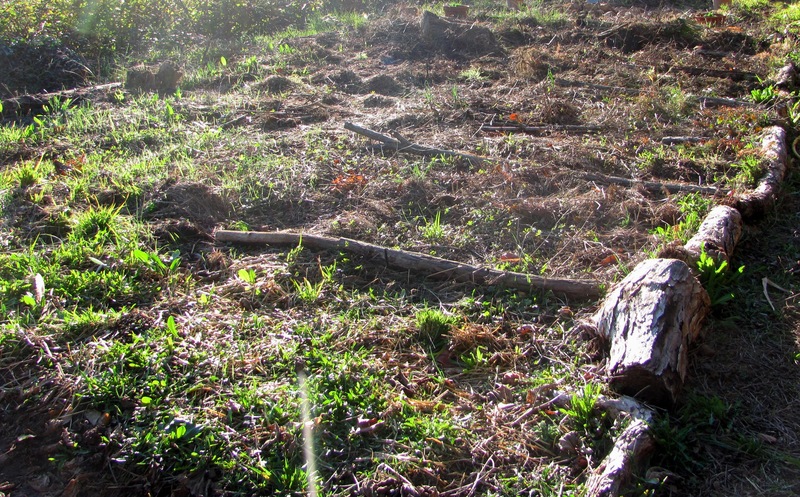 Meanwhile I was clearing another section of my no-dig veg patch to sow fava beans and tomatoes of my own. The spinach, radish and rocket in the first section are doing very well, though I’m still waiting for spring to give a kick-start to the rest. I’ve been planting, more or less, in sections, though I’ve also done some mixing just to see what can grow together. I’ve still got some space to think about. Maybe carrots and courgette? Saturday we went with our Meet up group, NCAT, for a tour around l’Espluga cave – apparently one of the longest in the world. It has had a long history, going back to the neanderthals and there is evidence of other human use. But it’s tied into natural and human history and evolution, which makes for an informative and inspirational visit. We only went as far as the tour in the first part of the cave. The second part is for speleology activities, and I haven’t been to it… yet! Wouldn’t mind doing that one day. 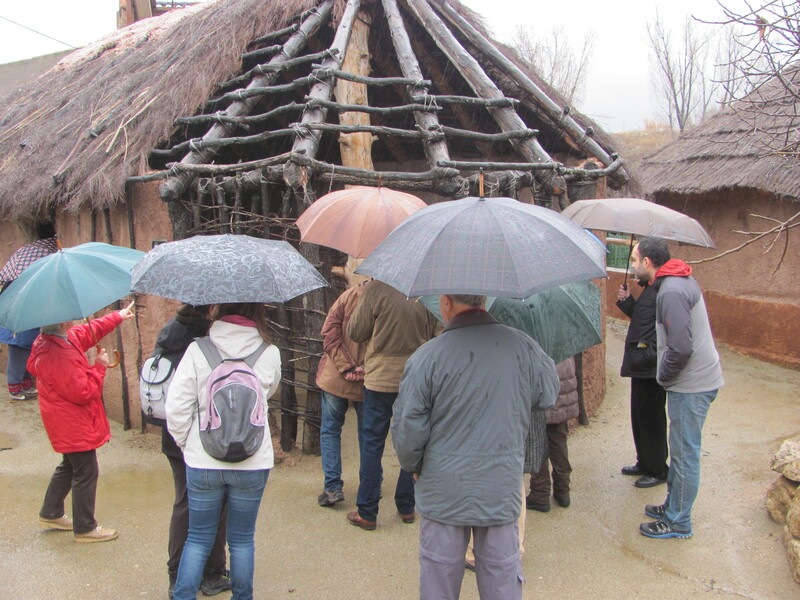 Afterwards there was a reconstruction of a Stone Age village, which you can see in the picture above. 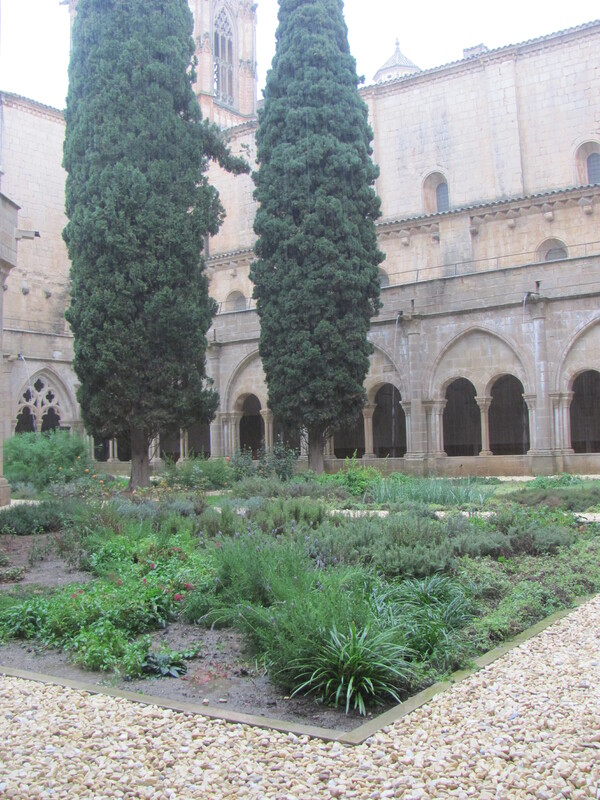 After that a few of us went to the Monasterio de Poblet, which really took us through layers of history. Or rather red swamp crayfish (Procambarus clarkii – known in Catalan in cranc vermell americà, hence in title). It is an introduced species that has displaced the native white-clawed crayfish (Austropotamobius pallipes), outcompeting it and carrying a disease to which they are resistent, but the native crayfish are not, so you won’t find them in the same stretch of river. As volunteers of CEN we’ve spent a few nights (crayfish usually come out at night) removing this invasive species, and we did that on Friday night too, with Jesús Ortiz, the president of CEN, and a few other volunteers. It was very cold and wet, but luckily we wore waders and long rubber loves to avoid getting wet (I did reach a bit too deep on one occasion, and got a glove filled with water! ), but we had a very good time. Made even better with good company.